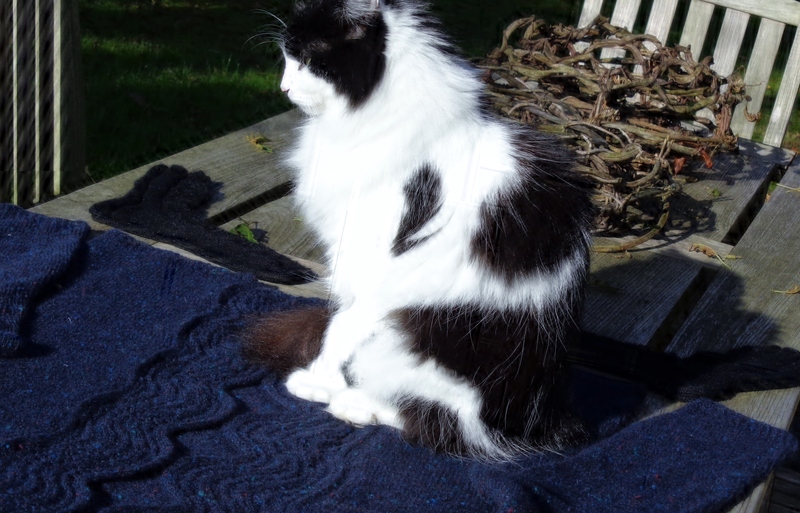 This is the Featherweight Cardigan I knit earlier for my middle sister. 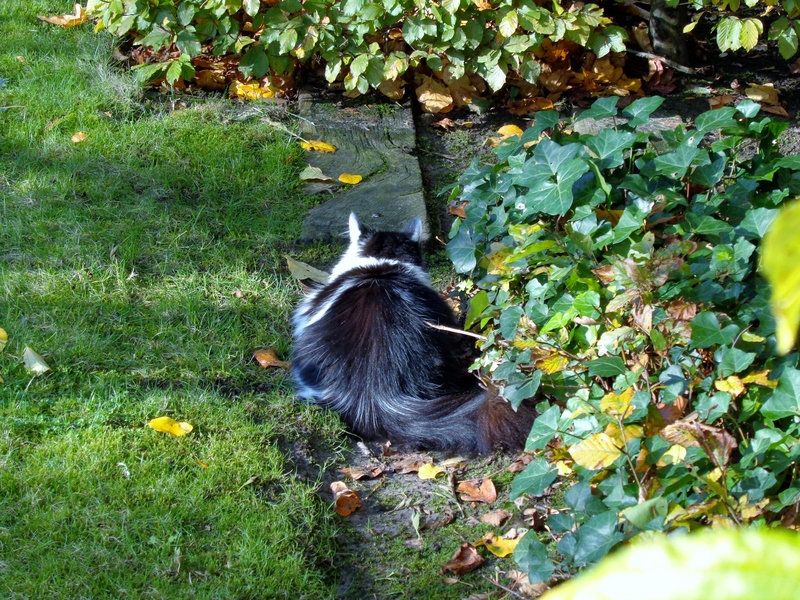 The pictures were taken a few days back, before November turned dark and wet. 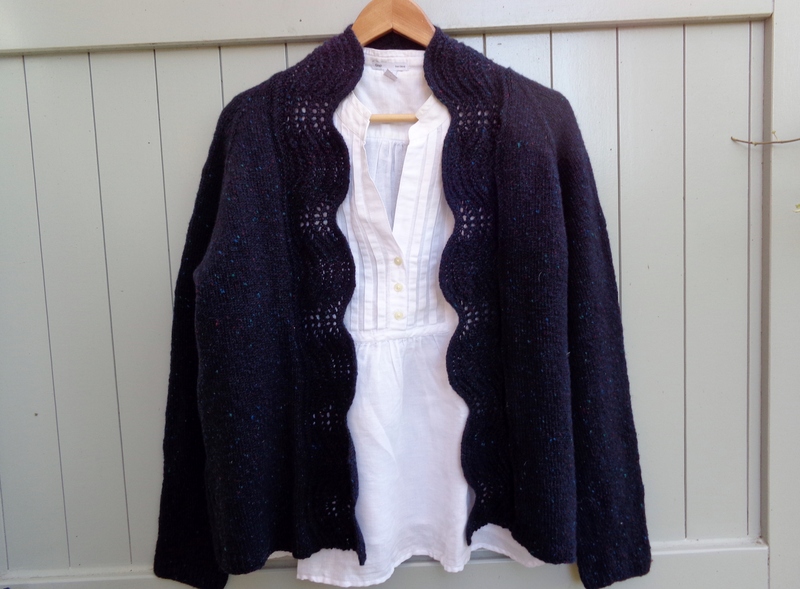 The Featherweight Cardigan, which I’ve had on my radar ever since coming across this lovely version, is a design by the talented Hannah Fettig. 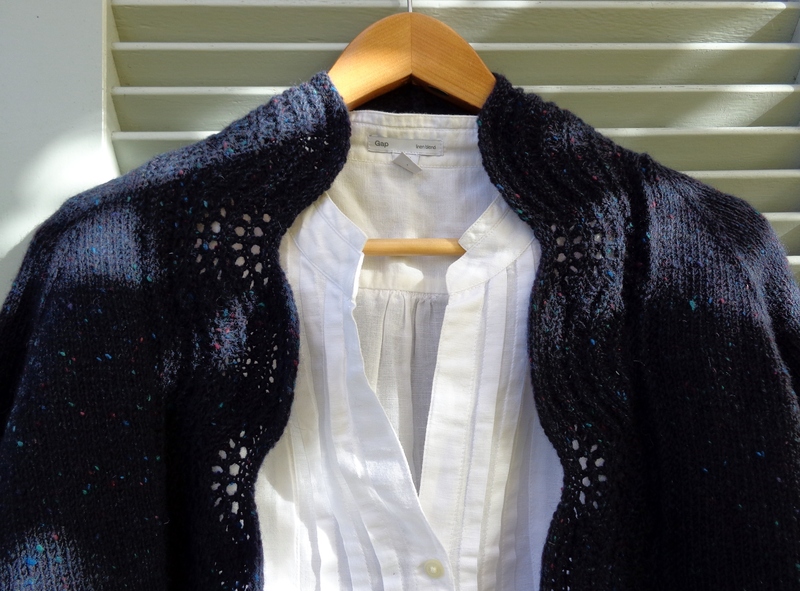 With over 6,800 projects cast-on, it is one of the most popular cardigans on Ravelry. And with good reason. The design is timeless, the knit relaxing – knitted with 3.5 mm needles, this project made for many an hour of happy, relaxed knitting. The pattern can easily be adapted to suit the wearer or the season. Even more so as it is now also available in Amy Herzog’s CustomFit version, which came out when I was already working on mine. Will have to try it out another time. I lengthened the sleeves by a few inches and replaced the ribbed collar by an old-shale motif (with multiples of 20) . The collar I knit separately and I attached it using a three needle bind-off. The yarn is Rowan Fine Tweed, which is light and warm, the colour Askrigg, a lovely deep midnight blue with specks of green and red. I’m quite partial to tweed at the moment. I will also be using a tweed yarn for my next cardigan which I will be knitting for myself. Enfin! But more on that later. Hope you all have a very good weekend!